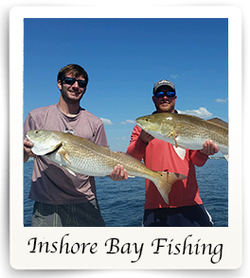 On Destin bay fishing trips with Destin Inshore Guides we journey through the calm waters of the Choctawhatchee Bay and inter coastal waterway fishing over grass flats, oyster bars, around bridges, jetties, and docks in search of Redfish and Speckle Trout on light tackle spinning gear. Other species to expect to catch depending on time of the year are Spanish Mackerel, Black Snapper, Sheepshead, Blue Fish, Lady Fish "Skipjacks", Jack Crevalle, and Black Drum. 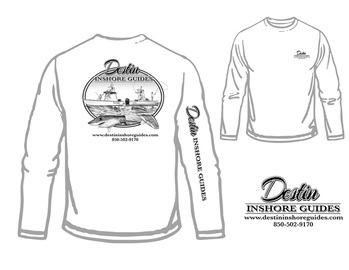 We primarily use live bait fishing tactics but can accommodate artificial fishing upon request for more avid anglers. 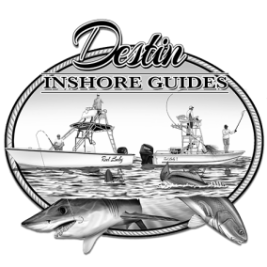 "Every time we come to Destin we head out for some bay fishing with the guys from Destin Inshore Guides. We've caught nearly everything! One of my favorite times to head out is the winter when we target Sheephead, but there's never a bad time to cast a line with these guys!"